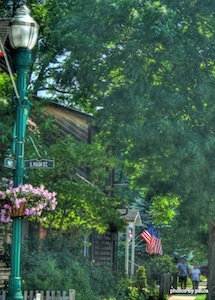 Zionsville has been named as the best affordable suburb in Indiana by Business Week. As a suburb of Indianapolis, Zionsville is actually one of the most expensive suburbs in the Indianapolis area, where real estate prices are concerned. So, what was the determining criteria? The country's 'Best Affordable Suburbs' doesn't list the nation's most affordable suburbs, but instead, a group of cities, towns, and villages in which the populace sits between five and sixty-thousand, and the economy, the schools, the lifestyle and the crime levels are all within a desirable range. That said, though, near every major city, there are some neighborhoods in which home affordability and quality of life are stand-out. Using real estate data from OnBoard Informatics, Business Week highlights these areas in a report it calls the 'Best Affordable Suburbs'. As concluded by Business Week, these are areas in which buying a home is a good value. At the top of the list is Awake, Wisconsin, a suburb 20 minutes west of Milwaukee, prized for its outdoor lifestyle and healthy jobs market. The complete 50-state listing is posted at Business Week's website.